Reacting with strong language to a U.S. report alleging arms control treaty violations, the Russian Foreign Ministry accused the United States of “creating dangerous conditions” that could trigger a nuclear arms race. Further, Russia warned that U.S. missile defense development may give “hot heads” in Washington the “pernicious illusion of invincibility and impunity” that could lead to misguided unilateral action, as it claims occurred when the United States launched a missile strike against a Syrian airbase on April 7. The annual U.S. report on arms control compliance, which for the fourth consecutive year alleges Moscow’s noncompliance with the 1987 Intermediate-Range Nuclear Forces (INF) Treaty, and the Russian Foreign Ministry’s response reflect contrasting views on arms control and nonproliferation issues and demonstrate the precarious condition of the U.S.-Russian bilateral arms control regime. The State Department’s “Report on Adherence to and Compliance With Arms Control, Nonproliferation, and Disarmament Agreements and Commitments,” dated April 2017, also raised “serious” concerns with Russia’s compliance with the 1992 Treaty on Open Skies and cites Moscow for suspending the Plutonium Management and Disposition Agreement (PMDA), an accord intended to reduce stockpiles of weapons-usable plutonium that had stood as an example of U.S.-Russian cooperation against nuclear proliferation risks. The report asserts that the United States last year remained in compliance with all of its treaty obligations. The Russian Foreign Ministry disputed the alleged violations and countered with what it said are U.S. violations of the INF Treaty stemming from its missile defense and drone programs, as well as citing other actions it said hinder arms control efforts. The State Department, which previously provided no details of those consultations, disclosed in the new report elements of its evidence. The United States presented information to the Russians that included Russia’s internal designator for the mobile launcher chassis and the names of the companies involved in developing and producing the missile and launcher, the report says. The United States detailed “the violating GLCM’s test history, including coordinates of the tests and Russia’s attempts to obfuscate the nature of the program,” according to the report. Further, the report says the missile in dispute is distinct from two other Russian missile systems, the R-500/SSC-7 Iskander GLCM and the RS-26 ballistic missile. The R-500 has a Russian-declared range below the 500-kilometer INF Treaty cutoff, and Russia identifies the RS-26 as an intercontinental ballistic missile treated in accordance with the New Strategic Arms Reduction Treaty (New START). The report also appears to suggest that the launcher for the allegedly noncompliant missile is different from the launcher for the Iskander. Through the commission and other formats, the United States has provided “more than enough information for the Russian side to identify the missile in question and engage substantively on the issue of its obligations,” according to the report. The Foreign Ministry, in its statement April 29, said Washington has failed to provide clear evidence to support its assertions. The United States has put forward only “odd bits and pieces of signals with no clarification of the unfounded concerns,” the ministry said. The Foreign Ministry statement repeated Russian allegations that the United States is violating its INF Treaty obligations by positioning a missile defense system in Romania. “The system includes a vertical launching system, similar to the universal Mk-41 VLS, capable of launching Tomahawk medium-range missiles,” the ministry said. “This is undeniably a grave violation under the INF Treaty.” Yet, the U.S. Tomahawk intermediate-range cruise missiles are permitted under the agreement as a sea-based weapon. In addition, the Mk-41 has not fired GLCMs, and Washington says the launchers to be deployed in Romania and Poland are different than the ship-based version that has been used to fire Tomahawks. Russia also cited the United States for testing ground-based ballistic missiles characteristic of intermediate- and shorter-range missiles and developing percussion drones that “fall under the definition of land-based cruise missiles contained in the INF Treaty.” It said Washington has been “simply ignoring Russia’s serious concerns.” The State Department report does not mention those disputes. The Foreign Ministry statement identified the U.S. missile defense system as the No. 1 “unacceptable action” by the United States on a list of 11 areas of arms control concerns, which includes the U.S. withdrawal from the 1972 Anti-Ballistic Missile Treaty in 2002 and the U.S. failure to ratify the 1996 Comprehensive Test Ban Treaty. “It should be understood that the [U.S.] anti-missile facilities placed around the world are part of a very dangerous global project aimed at ensuring universal overwhelming U.S. superiority at the expense of the security interests of other countries,” according to the statement. The State Department report found “no indication” that Russia had violated its PMDA obligations, but said that Moscow’s decision to “suspend” the accord “raises concerns regarding its future adherence to obligations” under the agreement. The Foreign Ministry said the report’s finding “does not correspond to reality” because Moscow only suspended the PMDA in response to Washington’s “hostile actions toward Russia” and a “radical change of circumstances” since the agreement was signed in 2000. Defense Secretary Jim Mattis has initiated the Trump administration’s Nuclear Posture Review (NPR) to be completed by the end of the year, according to an April 17 Defense Department press release. The NPR will affect defense policy and planning. (See ACT, March 2017.) The review will also influence how the White House proceeds on arms control issues, such as whether to extend the New Strategic Arms Reduction Treaty. Trump has expressed an intention to “greatly strengthen and expand” the U.S. nuclear arsenal and an ambition to be at “the top of the pack” of nuclear-armed countries. Rep. Adam Smith (D-Wash.), ranking member on the House Armed Services Committee, urged that the NPR prioritize strategic stability and nuclear nonproliferation. 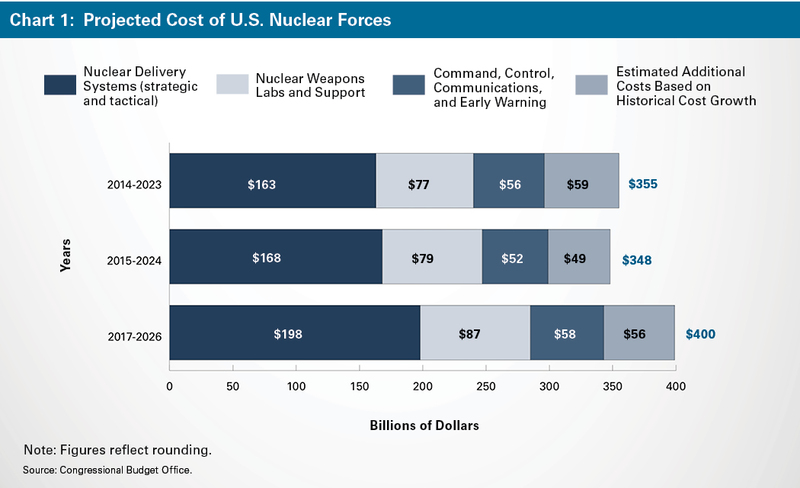 “It is time to rethink what the priorities should be for a strong yet affordable nuclear arsenal, rather than embarking on a trillion-dollar modernization plan that will drag us into perilous nuclear competition,” he said in an April 17 statement. During talks April 12 with U.S. Secretary of State Rex Tillerson, Russian Foreign Minister Sergey Lavrov expressed interest in resuming a “pragmatic” dialogue on strategic stability and arms control, although neither diplomat offered any public details about how that may proceed given strains from accumulating grievances. Neither diplomat in public remarks mentioned U.S. allegations that Russia is violating the Intermediate-Range Nuclear Forces (INF) Treaty (see ACT, April 2017) or Russia’s objections to U.S. missile defense deployments in Europe. The two countries also appear to disagree on whether to extend the 2010 New Strategic Arms Reduction Treaty (New START) for five years beyond its current February 2021 expiration date, as provided for in the treaty. (See ACT, March 2017.) 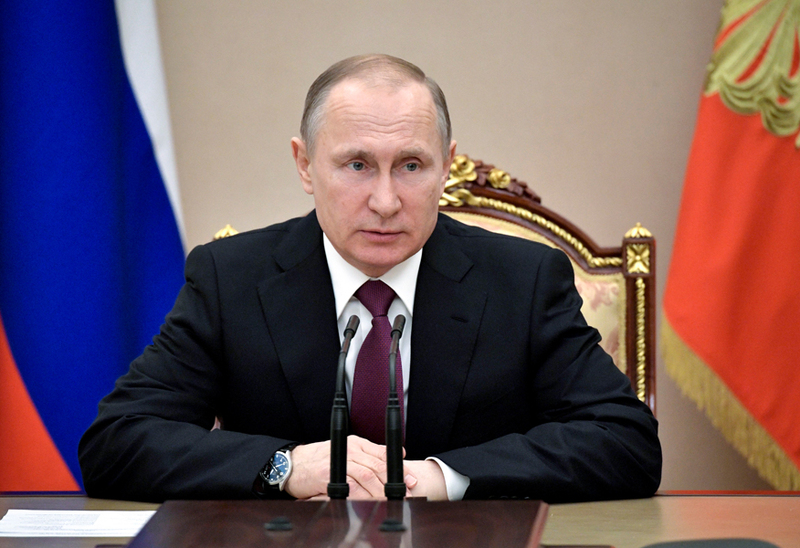 Russian President Vladimir Putin raised the prospect of the extension during a Jan. 28 phone call with U.S. President Donald Trump, who called the accord a bad deal for the United States, according to a Reuters report. The two officials agreed that North Korea “has to be denuclearized” and discussed the “constructive role Russia can play in encouraging the regime in North Korea to change its course,” Tillerson said. “We have agreed to establish a working group to address smaller issues and make progress toward stabilizing the relationship so that we can then address the more serious problems,” he said. Just how challenging cooperation will be was demonstrated by the recent behavior of both countries. On the eve of the meetings, the Russian Foreign Ministry released a statement condemning U.S. policies and actions in a number of global conflicts. Trump, in an interview that aired April 12, blamed the crisis in Syria on Russian support for Syrian leader Bashar al-Assad. Russia has violated the Intermediate-Range Nuclear Forces (INF) Treaty by deploying ground-launched cruise missiles (GLCMs), a senior U.S. military official told Congress, escalating a dispute over the same type of missile that the Obama administration in 2014 accused Russia of illegally producing and flight testing. His testimony provided new ammunition to Russia critics in Congress seeking a strong U.S. countermove by the Trump administration, as Republican lawmakers pressed for action on their proposed legislation for further missile defenses in Europe and U.S. development of a nuclear-capable GLCM in what they present as an effort to pressure Russia to return to treaty compliance. The dispute endangers a Cold War-era accord that laid the groundwork for major U.S.-Russian treaties limiting strategic nuclear weapons (see here). U.S. President Ronald Reagan and Soviet leader Mikhail Gorbachev signed the INF Treaty in 1987, agreeing to eliminate permanently their entire arsenals of nuclear and conventional ground-launched ballistic and cruise missiles with ranges of 500 to 5,500 kilometers. The treaty prohibits such missiles based on land. Russia previously has levied its own allegations of treaty violations against the United States, stemming from elements of the Aegis Ashore ballistic missile defense system in Europe and from heavy-strike unmanned aerial vehicles that Russia says fit the treaty’s definition of GLCMs. In November 2016, the United States and Russia held a meeting—the first in 13 years—of the Special Verification Commission (SVC), a forum established by the INF Treaty for dispute resolution. In 2014 the Obama administration launched a review of U.S. options after determining Russia had flight-tested a GLCM with a range prohibited by the treaty. 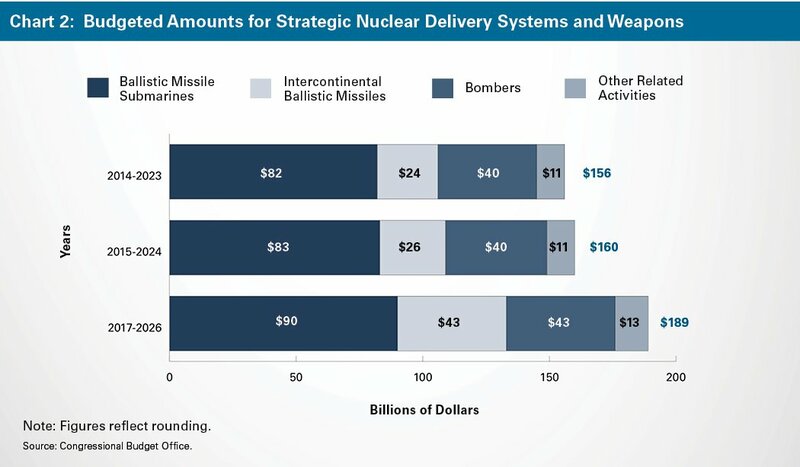 At a December 2014 hearing held jointly by House Foreign Affairs and House Armed Services subcommittees, Brian McKeon, principal deputy undersecretary of defense for policy, said that potential military response options cover “three broad categories: active defenses to counter intermediate-range ground-launched cruise missiles, counterforce capabilities to prevent intermediate-range ground-launched cruise missile attacks, and countervailing strike capabilities to enhance U.S. or allied forces.” The administration was reviewing “a broad range of options, some of which would be compliant with the INF Treaty, some of which would not be,” he testified. At the March 8 hearing, Rep. Seth Moulton (D-Mass.) asked, “What is the [new] administration’s plan to deal with what seems like a flagrant violation of a treaty?” Selva replied that the Pentagon has “been asked to incorporate a set of options” during the upcoming Nuclear Posture Review (NPR). “So, it would be premature for me to comment on what the potential options might be for the administration,” he said. In February, Sens. Tom Cotton (R-Ark. ), Ron Johnson (R-Wis.) and Marco Rubio (R-Fla.) introduced legislation that they said would allow the United States to “take steps to bring Russia back into compliance with the INF Treaty” that include developing similar missile systems that the United States could deploy. Reps. Ted Poe (R-Tex.) and Mike Rogers (R-Ala.) introduced companion legislation in the House. The legislation “makes clear that Russia will face real consequences if it continues its dangerous and destabilizing behavior,” Rubio said in a statement. Gary Samore, executive director for research at the Belfer Center for Science and International Affairs at Harvard University’s Kennedy School of Government, said Russia’s INF Treaty violation “frees us from any obligation” to abide by the accord. Still, U.S. responses, such as a decision to deploy systems now banned by the treaty, may limited due to opposition from European allies, he told the Senate Armed Services strategic forces subcommittee on March 8.